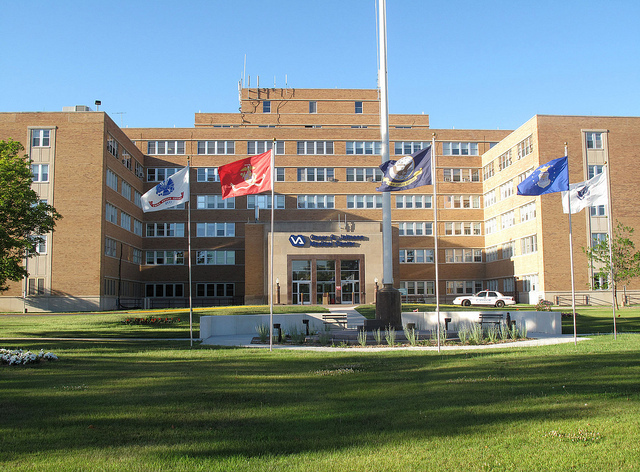 The Department of Veteran Affairs entered into contract with a contractor for the construction improvements to Renovate Surgery to the VA’s facility located in Iron Mountain. After being awarded said Contract, the contractor was later declared in default of its obligations under the Contract and the Government terminated their right to proceed with remaining work; The Government made demand to the surety to completed the project under bonding obligations. IMS was then contacted and awarded a “completion contract” to complete the project. The project included renovations of the 2nd floor surgery department within building no. 1 of the VA Medical Center. Work consisted of gutting and rebuilding the interior which involved approximately 7,500 sq feet of the existing admission/discharge offices, procedure rooms, operating rooms and physician offices. The project also included constructing a new 500 sq foot mechanical room addition and a new dumb waiter system to service the department from the basement to 2nd floor surgery department. Tasks included shoring and demolition of 1600 sq feet of concrete waffle slab, roof deck, various concrete floors, new structural steel roof framing, equipment support steel, daily protection from elements, asbestos abatement, demolition of existing ceilings, walls and flooring. Utility work serving the area included demolition of existing lighting, conduits and devices; Installation of new lighting, data, security, fire alarm systems; Demolition of existing duct work, diffusers, controls, piping and fixtures; Installation of new HVAC duct work, hydronic piping, plumbing and fixtures; Demolition of existing sprinkler branch lines and heads; Installation of new fire suppression lines and head to match new ceiling configurations, removal and replacement of 36 aluminum windows, drywall finishes, vinyl wall covering, patching, painting, flooring casework and work stations. All work was performed around high traffic patient areas which required close coordination between the VA engineering department and IMS management while ensuring patient safety and infection control requirements were met on a daily basis.